BOISE – A bridge-replacement project near Sun Valley and the consolidation of 17 bridge projects in a single contract to reduce time and save millions in taxpayer funds won President’s Transportation Awards from the American Association of State Highway and Transportation Officials (AASHTO) on Sunday, Sept. 23. The awards, considered the highest honors for state departments of transportation, were handed out to the Idaho Transportation Department (ITD) at AASHTO’s annual conference, held this year in Atlanta, Georgia. 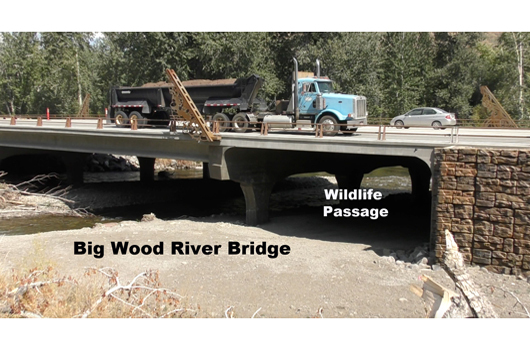 ITD won the Environment award for the Big Wood River Bridge project that replaced the bridge south of Hailey last fall. The design team consulted the Idaho Dept. 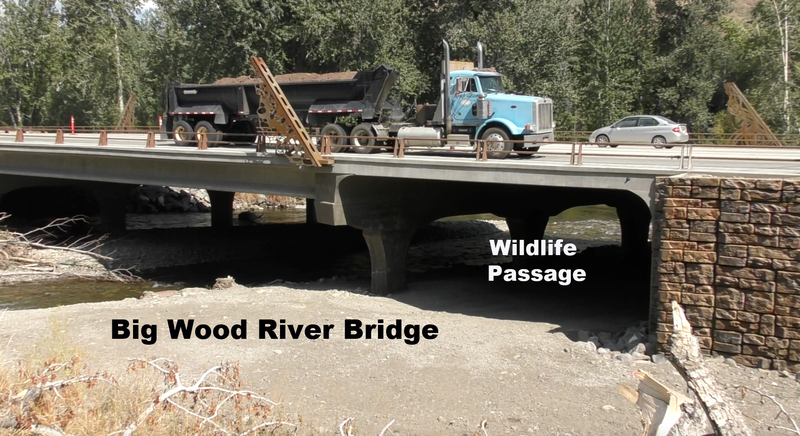 of Fish & Game regarding wildlife mortality, and added wildlife passage tunnels on both ends of the bridge to reduce vehicle-animal crashes from migrating animals crossing the bridge. The passageways were designed and built 33-feet wide to maximize the attractiveness of the tunnel to animals — if it was too narrow, it likely would not be used because the animals needed more room for escape in case a predator appeared. It was also built 13-feet tall to accommodate large animals such as elk. Additional lanes improved traffic flow around slower recreational vehicles that are heading through the resort towns to the mountainous recreation areas, and addressed the regular occurrence of bottlenecking which plagued the former bridge. It also allowed for better traffic flow of large trucks traveling the highway carrying resources, materials, and supplies on a daily basis to support the resort and recreational activities. ITD also won a President’s Award in the Planning category for replacing 17 bridges under one contract, saving $1.7 million and about 17 years. The single contract enabled the collection of engineering data on all the bridges at once rather than separately. Jointly collecting the data on bridge alignment, subsurface stability, right-of-way footprint, and hydraulic property saved about $100,000 per bridge compared to a bridge-by-bridge method. The 17 bridges are located in ITD districts 4, 5, and 6 — in eastern, south-central, and southeast Idaho. The three districts worked together to accomplish common objectives. 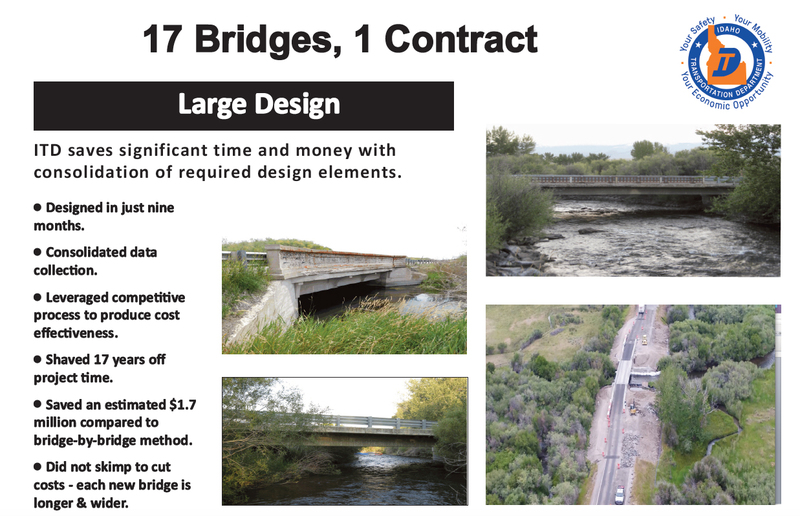 Even more savings occurred once construction began on these bridges, as the project bid came in about $3 million under estimates. ITD has won 13 AASHTO President’s Awards in the nine years Ness has been at the helm of the organization.